Even though my dad is *technically* Sichuanese, he grew up in Yunnan, which is where my paternal side of the family still currently lives. 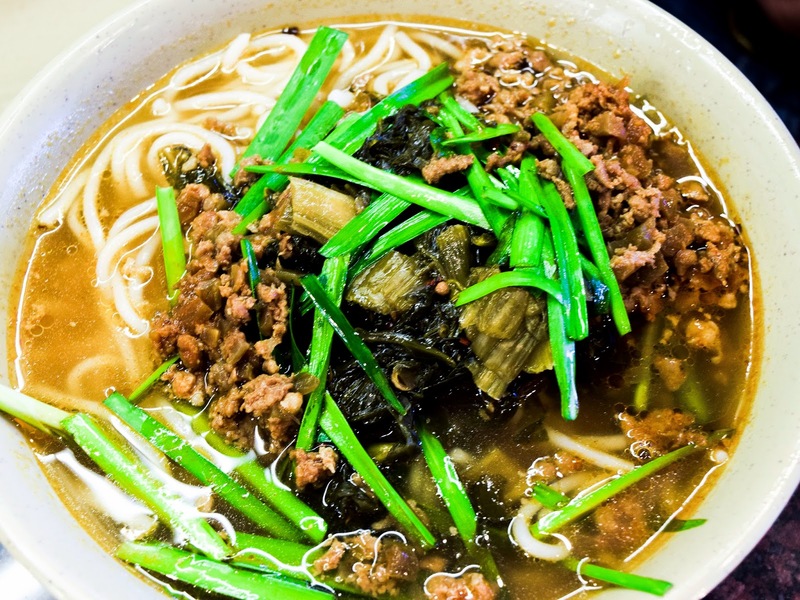 For those who don't know, Yunnan is famous for its rice noodles, mushrooms, and wild vegetation. 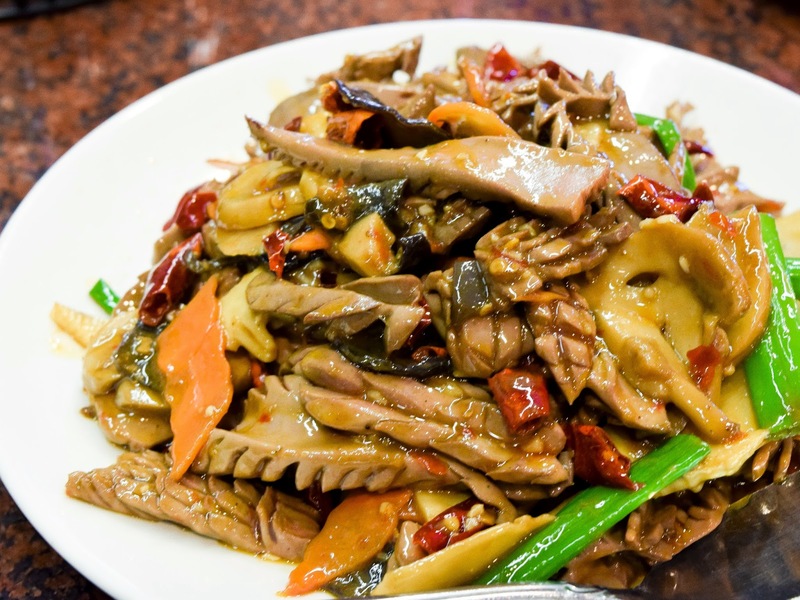 Some flavors are highly influenced by neighboring Sichuan, but because of the multitude of minority groups living in the provence, the "Yunnan flavor" is highly diverse, encompassing a wide range of palates. 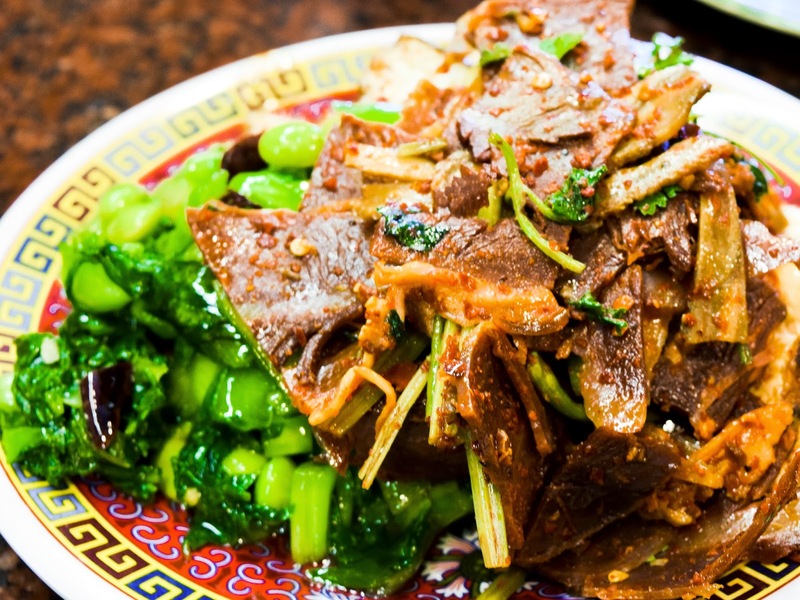 If you asked me, aside from Cantonese, Yunnan cuisine is my favorite type of Chinese cuisine. Unfortunately, it just isn't as mainstream as Beijing, Canto, Sichuan, Shanghai, or Hunan food and before this I had actually never been able to find a restaurant that specialized in Yunnan cuisine. 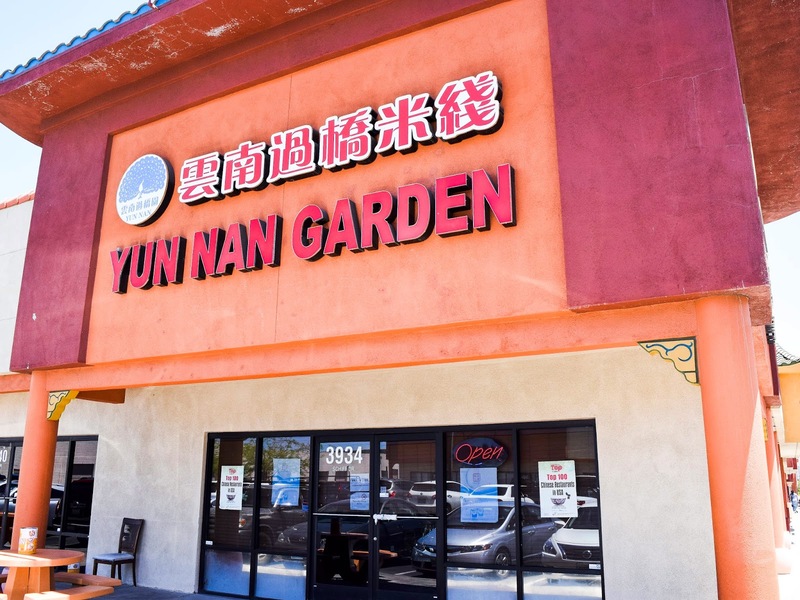 Located a bit of the Strip, tucked away in a shopping center in Chinatown, Yun Nan Garden offers a nice taste of traditional, authentic Yunnan cuisine for those who wish to venture away from the busy casino life. I was happy to see that the menu offered many regional specialties like 小锅米线 (single cooked rice noodles)，炒饵块 (Yunnan style fried rice cake)，气锅鸡 (steamed herbal chicken)，过桥米线 (crossing bridge rice noodles) though the menu also offered many Sichuan dishes as well. It seemed like rice noodles were a house specialty (and rightfully so - it is said that a native Yunnan person can't go a day without eating them, a lot of times for breakfast), so we decided to get two rice-flour based dishes. 饵块, or Yunnan-style rice cakes, are incredibly similar to the more commonly seen Shanghai-style rice cakes, but much more refined in texture, slightly more delicate, and usually cut thinner. 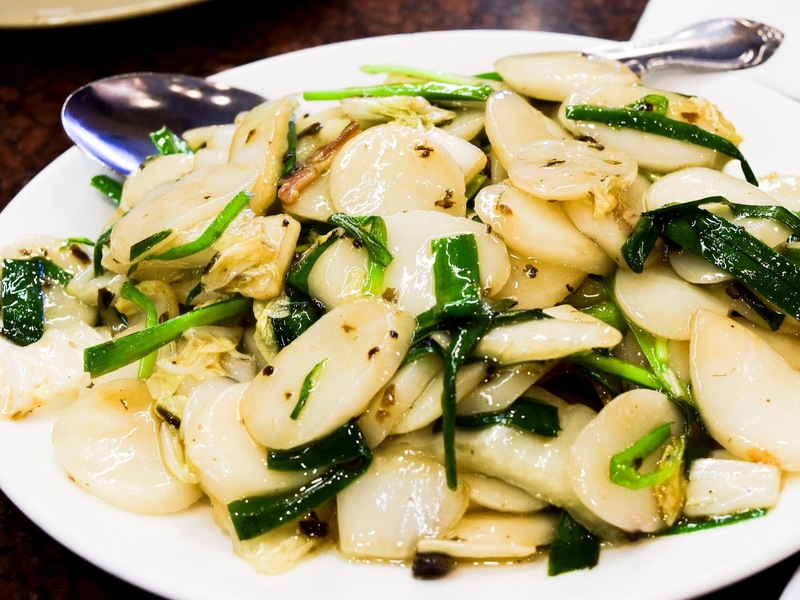 Unlike the tradition Shanghai preparation that uses salted vegetables, these were stir fried simply with some bean sprouts, chives, and pork. Very authentic and my favorite dish of the meal. I grew up eating single cooked rice noodles and it's a very homey dish. Yunnan Garden's version really impressed my dad in its use of native pickles that he swore must have been imported directly from Yunnan. If you were to only get one thing from here and want to experience a very native Yunnan meal, this would be the thing to get. Though my paternal side of the family resides in Yunnan, I still will consider myself a (half) Sichuan girl at heart and I absolutely could not pass up frog. Yes, it is similar to chicken, but so much better! 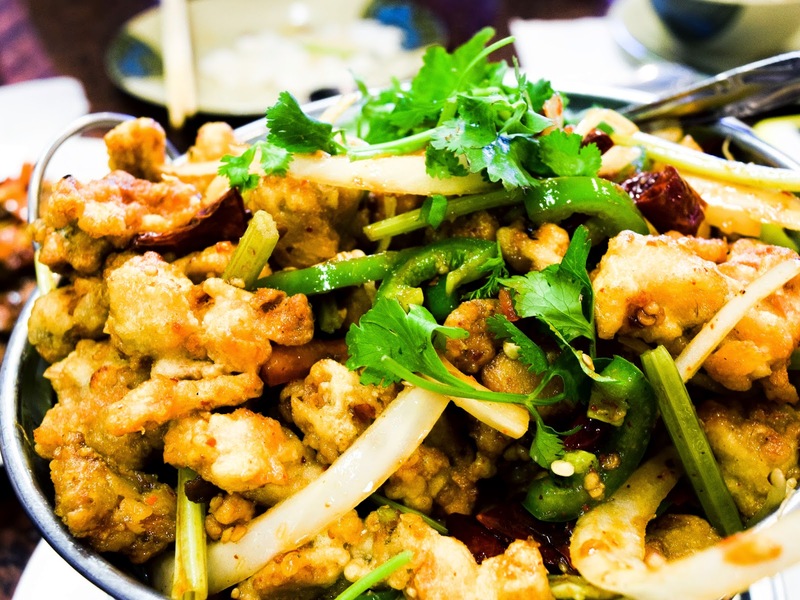 This preparation is stir fried liberally with chili peppers and garlic, resulting in a fiery, aromatic, crunchy pile of deliciously tender, juicy meat. Think of it as fried chicken but done a thousand times better. That's right, Chinese people eat strange things. When my parents and I go out, we try to pick meats that we typically don't cook ourselves, and kidney is one of them because of the laborious cleaning process. When done wrong, kidney, because it is so lean, can be incredibly tough and overcooked, but this version was absolutely perfect. Unfortunately though, it could not stand out against the other dishes on the table. You *may* want to pass on this, but if you're down to try some kidney, I would recommend it. In addition to the kitchen items, Yun Nan Garden has a "cold appetizer" type of bar that lets you either order things separately or create your own mixed plate for a set price. For those who aren't familiar, Chinese cold dishes are a whole class in themselves, incredibly diverse and extensive. My dad and I ended up choosing some marinaded tofu, 芥菜 (a wild Chinese vegetable)， 夫妻肺片 (husband and wife lung slices aka spicy marinaded beef and tendon). Yun Nan Garden ended up being the last stop my parents and I had in Las Vegas before driving back to Los Angeles and I'm so glad we ended up going. After a night on the Strip and trying out some of the buffets, I was more than ready for some good, authentic Chinese cooking and Yun Nan Garden more than satisfied that craving.